Abstract: In this month’s column, Kerry Hennigan looks at the history of Pepsi Cola’s sponsorship of Michael Jackson, both before and after the accident in 1984 that resulted in him suffering serious burns with life-long consequences. She also looks at subsequent deals Michael, and later his Estate, made with Pepsi and proposes a way for fans to think past the controversy that surrounds the company’s continuing assocation with him. Hennigan, Kerry. 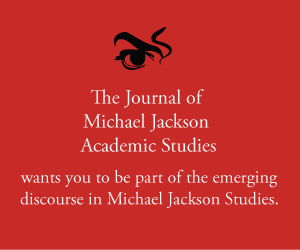 “MJ Studies Today XXXIV (14-10-2018).” The Journal of Michael Jackson Academic Studies 6, no. 1 (2018). http://michaeljacksonstudies.org/mj-studies-today-xxxiv/. Two days after I’d celebrated the 60thanniversary of Michael Jackson’s birthday in Las Vegas, the drink machine at my hotel dispensed a bottle of Diet Pepsi with Michael’s image on it. Despite having moved on to Palm Springs by this time, it still felt like I’d won a jackpot! I am aware of the controversy amongst fans about Pepsi’s involvement with Michael; some would have us feel like traitors for patronizing the brand. After all, he suffered serious burns with lifelong consequences when filming a Pepsi commercial with his brothers back in 1984. It was, as Michael himself said in Moonwalk, “stupidity, pure and simple.” Safety regulations had been disregarded, in that the pyrotechnics were only two feet away from either side of his head. Of course, Michael’s many fans haven’t put it out of their list of things that happened to him because of errors in judgement by others – people in whom he trusted. But, if as Giraldi maintains he and Michael remained amicable and would later “greet each other with hugs” is it logical for us as fans to hold a grudge – either against the director or, even less logically, against the company (i.e. Pepsi) for whom he was working? He also continued to use pyrotechnics in his performances – right up to and including This Is It. There is a myth among some fans that Pepsi fired Michael over the Chandler false accusations (1993). That simply isn’t true. Their sponsorship for the tour lasted until the tour ended (prematurely) when Michael went into rehab. We could, of course, blame the painful after effects of the 1984 accident for that, but what does it gain us, other than considerable personal angst? How do we answer that question when he is no longer here for us to ask him? We can only look back at what he did when he had the opportunity, even in the wake of the horrific 1984 accident, and the answer there is obvious. He accepted their money and put it to good use – repeatedly.